A veces encontrar el complemento adecuado es dar un giro al outfit. Y esto es lo que pretendemos hoy en nuestra sección Closet musts! con estos brazaletes gemelos, ya sean en plata o dorado, sabemos que son el complemento ideal para darle un toque chic a tu look. ¿Lo genial? Que no tienes porqué comprarlos, puedes alquilarlos para tu evento y devolverlos luego. Las colgadas cada vez somos más fans del aquiler, ya que te permite lucir distinta cada vez a un precio razonable y sin llenar tu closet de cosas que no sabes cuándo te volverás a poner. Y si te gustan tanto una vez los pruebas, ¡siempre estás a tiempo de comprarlos! Sometimes finding the right accessory is giving a shift to the outfit. And this is what we want to show you today in our Closet musts! 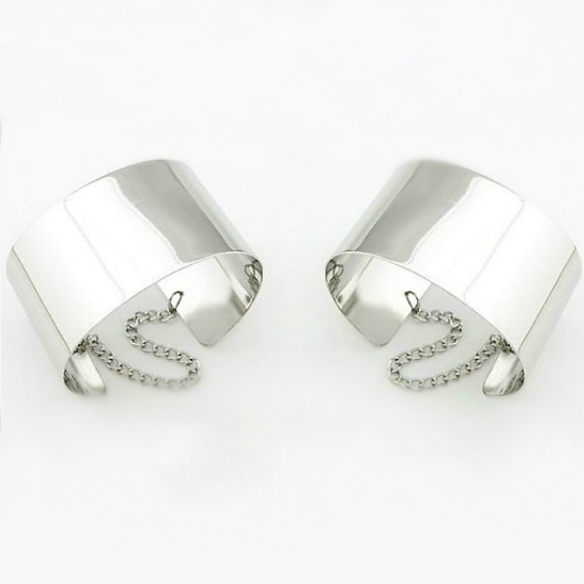 section with these twin bracelets, either silver or gold, we know that they’re ideal to give a chic touch to your look. What’s even greater? Why do you have to buy them? You can hire them for your event and then return them back. The hanging are everyday more fans of the rental because it allows you looking different each time at a reasonable price without filling your closet of things you don’t know when you will wear them again. And if you like them so much once you try them, you’re always in time to buy them!